Nevada Republican seeks a legislative intern. Interns will work in a fast-paced Congressional Office, gaining valuable exposure and knowledge of the legislative process and the United States Congress. Intern responsibilities include greeting constituents, handling constituent phone calls, opening and sorting mail, and assisting staff with administrative tasks. Interns will also have the opportunity to conduct legislative research, and assist with correspondence, as well as attend some Capitol Hill briefings, congressional hearings, receptions, and press events. 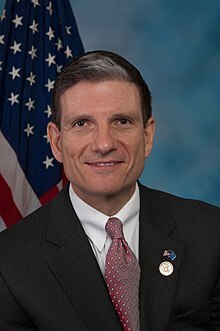 Congressman Heck is an emergency room physician, and a Colonel in the U.S. Army Reserves. He is a member of the House Armed Services Committee, House Permanent Select Committee on Intelligence, and the House Committee on Education and the Workforce. He represents Nevada’s Third Congressional District, the most populated Congressional District in the nation. Interns must have a good attitude, strong work ethic, and excellent written and oral communication skills. Successful interns will be able to find information with little assistance, be able to work both independently as well as part of a team environment, and with strong attention to detail. Applicants should have working knowledge of current events and policy topics, as well as a willingness to do mundane tasks as needed. Third Congressional District residency preferred; however, candidates from outside the state will also be considered.